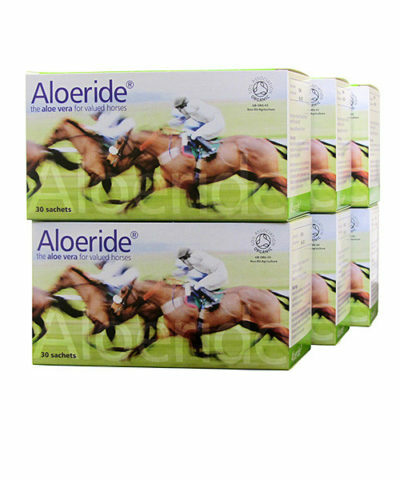 Aloeride aloe vera for Horses Product Information is a synopsis of what our product is and does. Hyperlinks to more detailed information are shown in this introductory page. 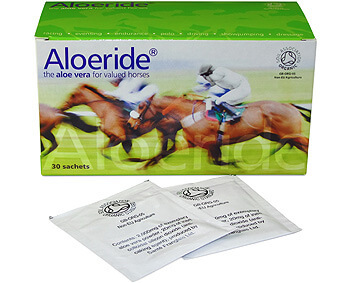 Digestive heath support is one of the main reasons why horse owners look into using aloe vera. 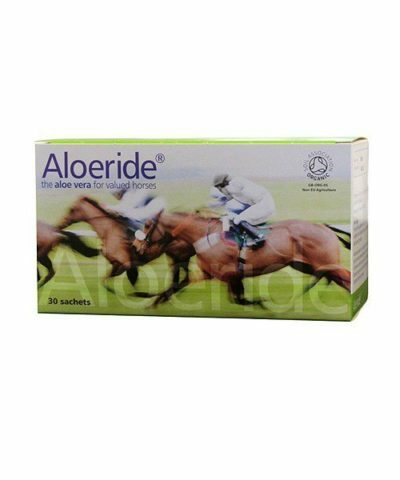 Aloeride helps horses that are prone to gastric ulcers or colic, and helps horses with food sensitivity (IBS). Blood sugar management and hindgut fermentation (both require feed review) are two further digestive issues for which Aloeride is used successfully. Click here for more information. Hoof health, hoof strength is consistent positive feedback (not just from Thoroughbred or Connemara owners). It is fantastic for the laminitic horse because it a) helps its digestion, b) helps the hoof, and c) helps your horse’s blood sugar management. No other feed supplement delivers that useful trio. Click here for more information. 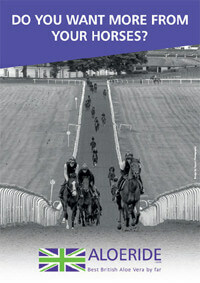 If you own a Thoroughbred then you may want to click here. 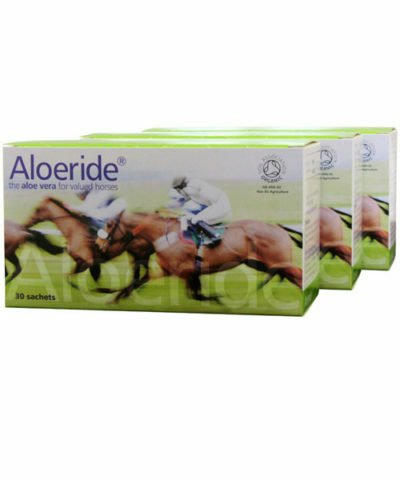 Coat health and natural coat shine become amazing because with Aloeride your horse becomes healthier on the inside. A good omen for any competition horse, better hammer value for Thoroughbreds at auction, and ‘Safer By Sebum’ for those horses reactive and vulnerable to midge bites. Click here for more information. Skin health is another reason why horse owners value Aloeride, from helping skin irritations, to easing UV sensitivity, to dramatically supporting wound repair. The wide spectrum of nutrients in uniquely high dosage sees to that (hygiene on the outside, more nutrients inside). 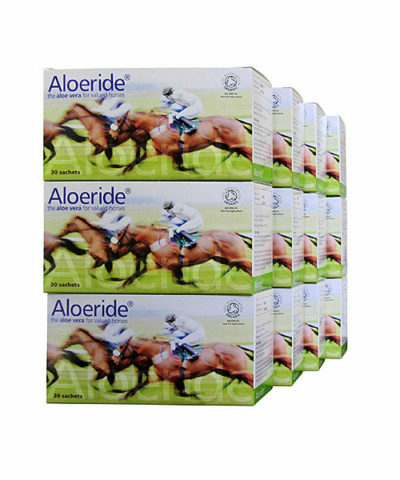 Boosting equine condition shows as an improvement in lean muscle mass and this is why Aloeride is valued by riders in competition: Thoroughbred Racehorses, Three Day Eventing, Showjumping and Endurance. Not only is performance supported, our very broad spectrum of nutrients + proper dosage also encourages a better post-performance recovery and repair. Click here for more information. We produce aloe vera for horses in the best possible way and retail it at the lowest possible price. Independent laboratories confirmed Aloeride to have up to 23.4 times greater nutritional density than other aloe vera products, yet Aloeride costs up to 4.7 times less than other aloe vera products. That’s before we give you discount. A Rolls Royce or Bentley at a Liddll price if you will. 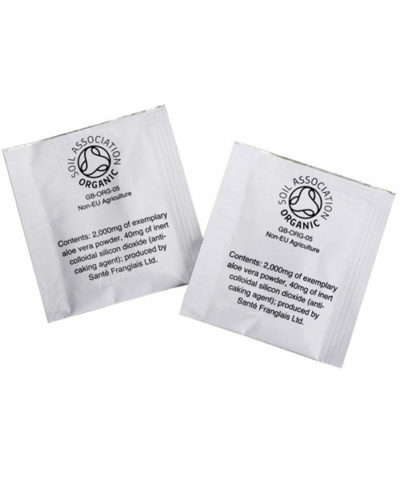 One carton feeds your horse 12 litres of Soil Association Certified Organic, optimally-grown wholeleaf aloe vera barbadensis miller juice that is optimised into 30 palatable aloe vera powder sachets. At standard dosage that is one month’s supply. Aloeride needs no refrigeration and it takes next to no room in your trailer/lorry going to competitions. 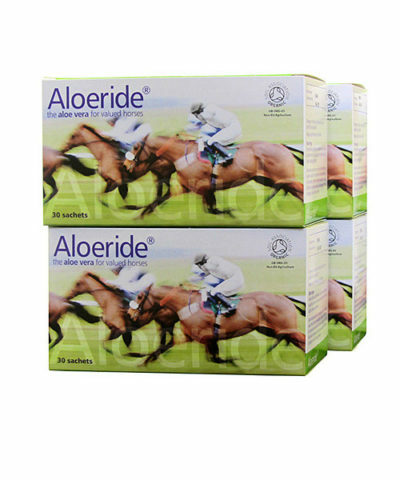 If, after reading Aloeride Aloe Vera For Horses Product Information, you have questions then please Contact Us. 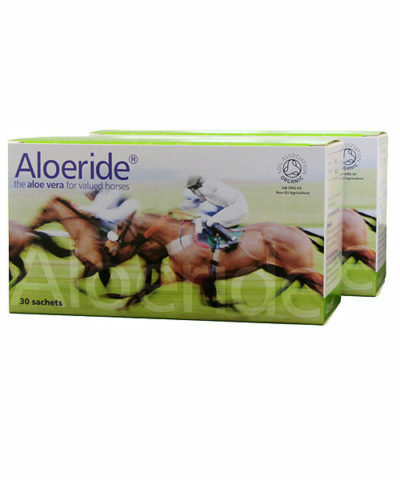 You can buy Aloeride for horses from this website, we are the manufacturer of Aloeride aloe vera for horses. We offer progressive discounts on multi-carton orders (10% – 25%). We offer worldwide free delivery on the six-cartons order. We offer Racing Yards, Stud Farms, Syndicates or simply owners of many horses, the option to buy in a Shipper (36 cartons = 1,080 servings) for our very best price (> 25%; hermetically sealed aloe vera powder has a 3-year best before date from manufacture). 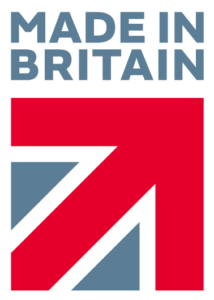 We ship worldwide and, when you place an international order, you will be emailed your tracking code promptly.